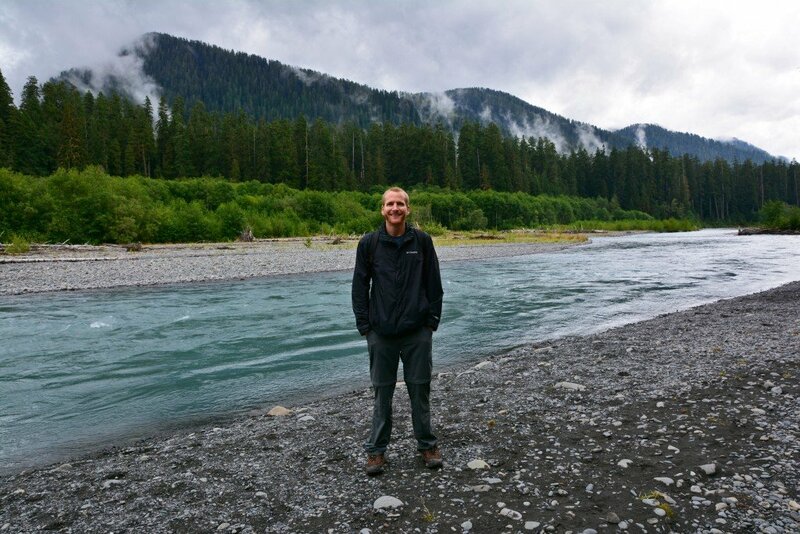 Very few rain forests exist in the United States, so we felt very fortunate to have had the opportunity to explore one of Washington state’s most luscious attractions. 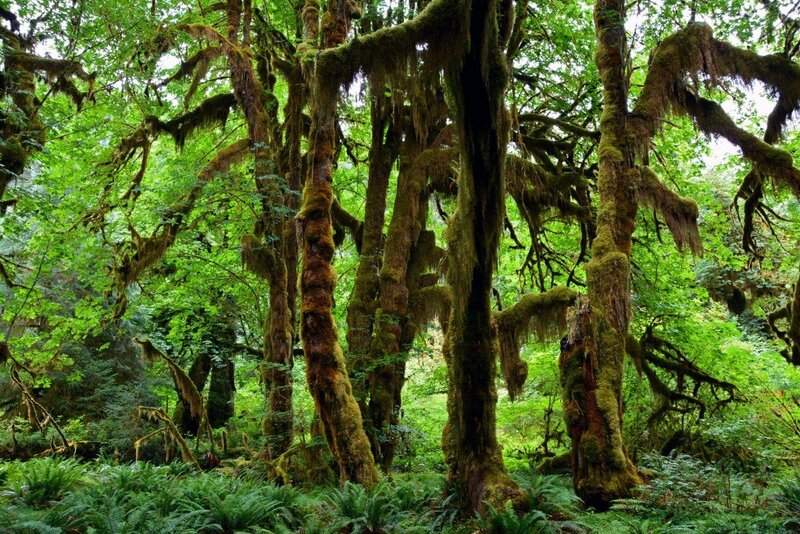 There are two types of rain forests: Tropical rain forests, which lie between the Tropic of Cancer and the Tropic of Capricorn and are characterized with warm temperatures, and temperate rain forests, which are found in a few temperate locations around the world and are categorized by their cooler temperatures. 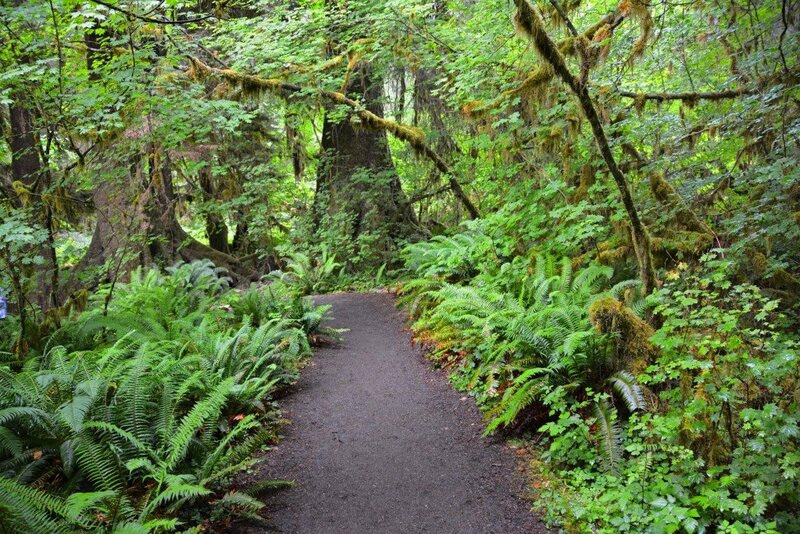 Located on the west side of Olympic National Park near Forks, Washington is the Hoh Rain Forest, an example of a temperate rain forest. 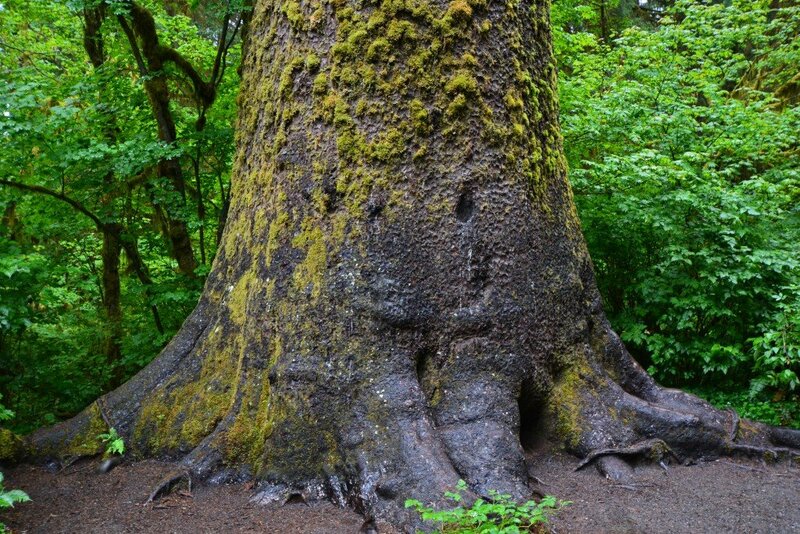 Just over a 30-minute drive (from Highway 101) on Upper Hoh Road takes you past one of the world’s largest Sitka spruce trees (pictured above) and the gorgeous Hoh River (pictured below). 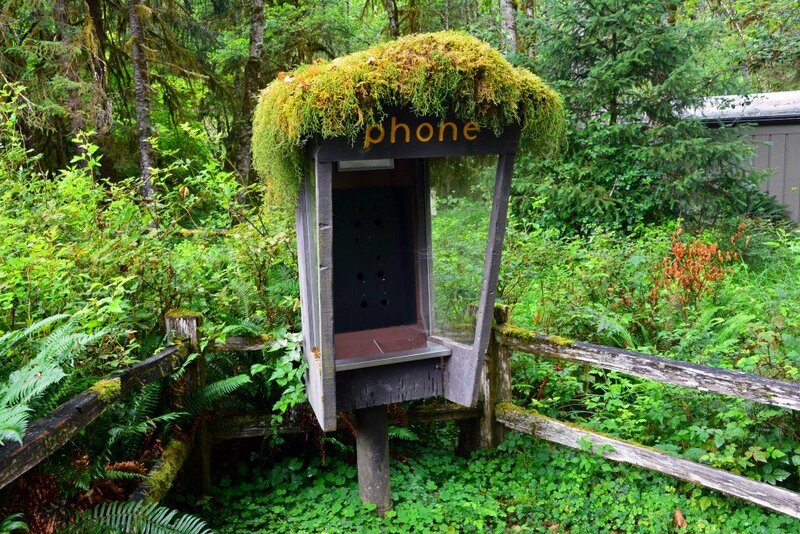 At the Visitor Center, you will find free parking, a wealth of information about the rain forest and its trails, oh… and this really awesome, an obviously non-functioning old phone booth. 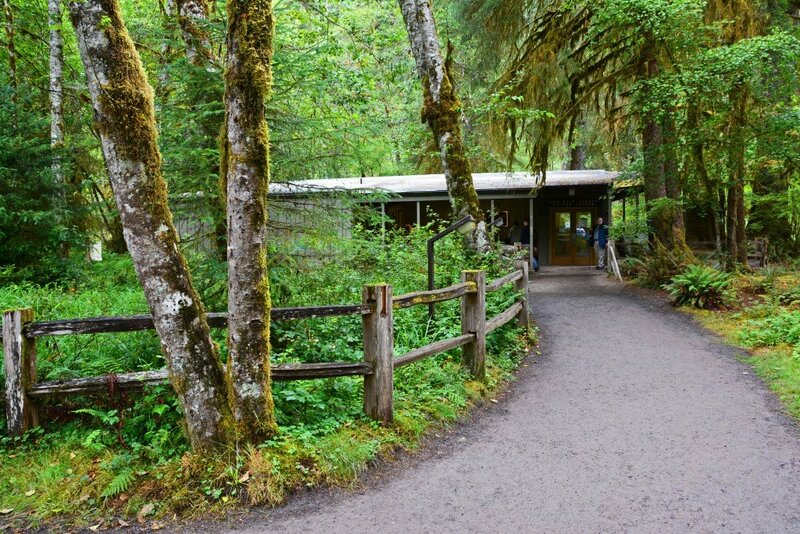 The center is open every day in the summer months and is generally open Friday-Sunday during the spring and fall seasons (hours may vary). 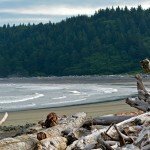 However, it is closed December through early March. 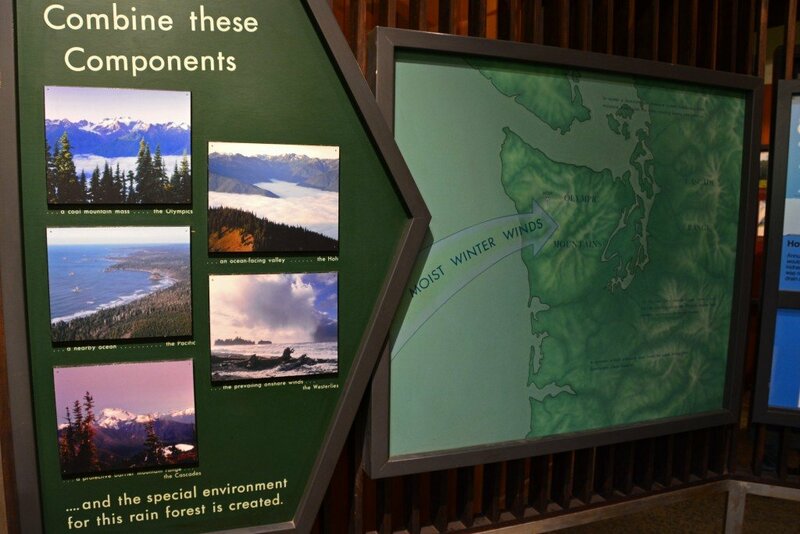 The center is a great place to learn about the surrounding ecology and how rain forests are formed. 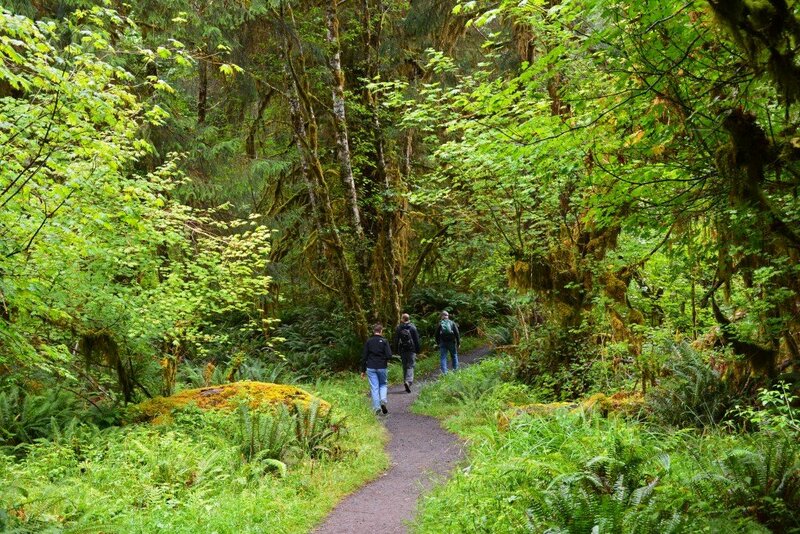 Here you can also tag along on one of the two ranger-led guided walks (summer months). 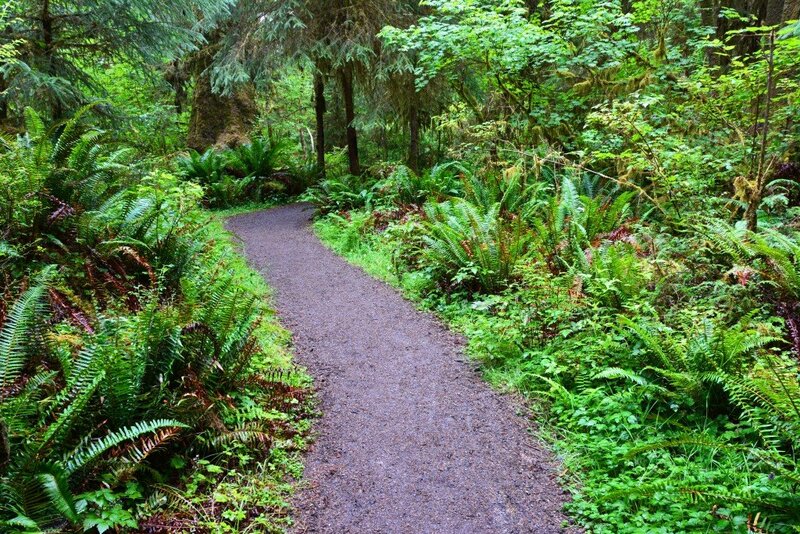 There are two loop trails that commence near the Visitor Center. 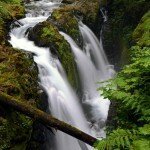 The Hall of Mosses Trail (.8 miles) and the Spruce Nature Trail (1.2 miles). Since they were so short, we hiked them both! 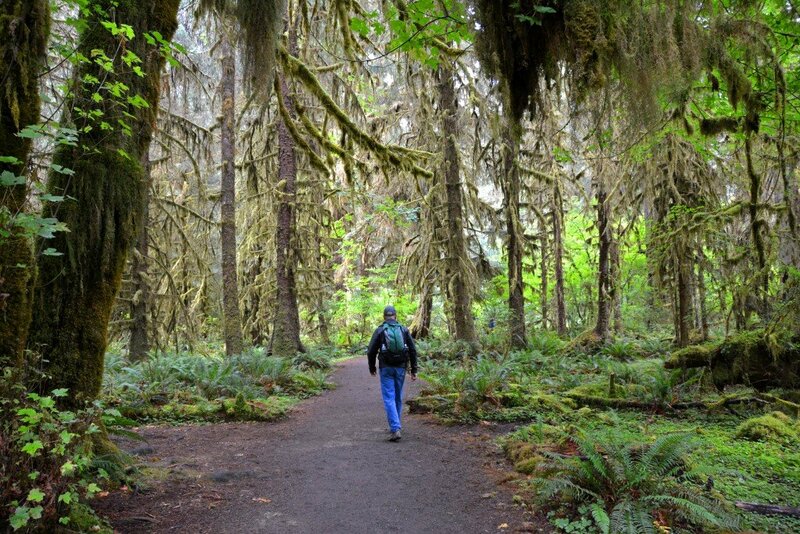 The Hall of Mosses trail starts out a little steep, but quickly evens out, making it a great hike for people of all ages. 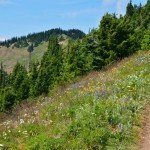 Any guess where they came up with the name for this trail?! 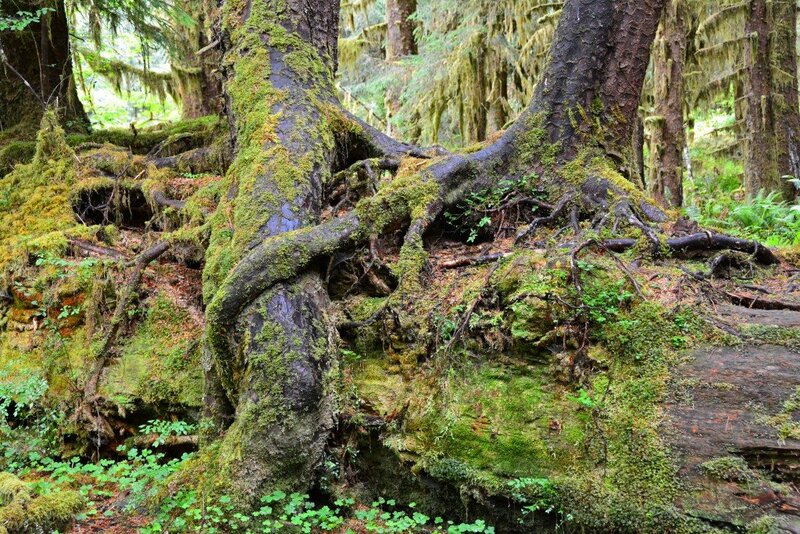 Everywhere we looked, there were maple trees and sitka spruces covered in moss and ferns, creating a vibrant scene. 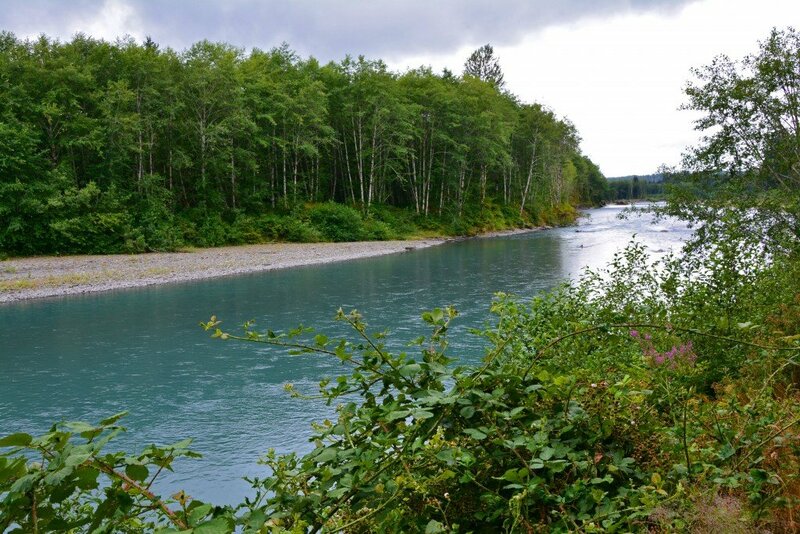 140 to 170 inches (12 to 14 feet) of precipitation fall in this region each year contributing to the luscious landscape! It’s always nice when family is able to meet up with us during our travels! Sam’s parents joined us for a week in Washington. 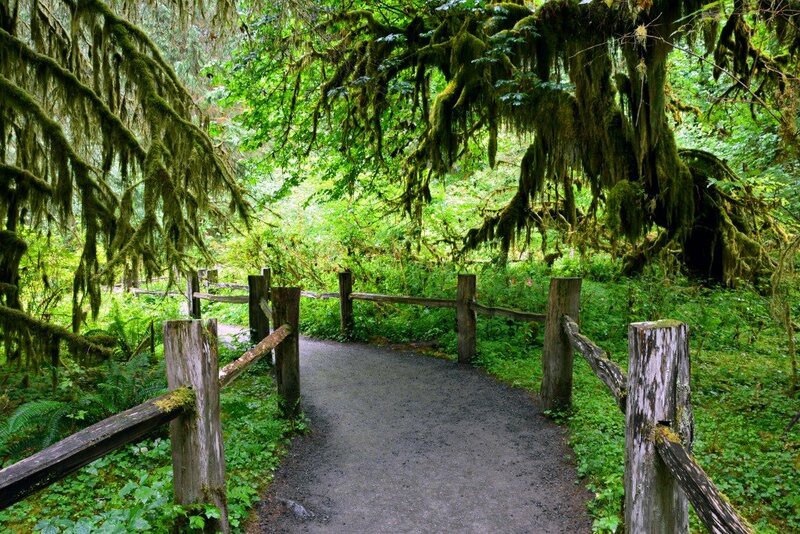 Just like the Hall of Mosses, the Spruce Nature Trail certainly didn’t fall short of impressing us with its brilliant colors and variety of plant species. 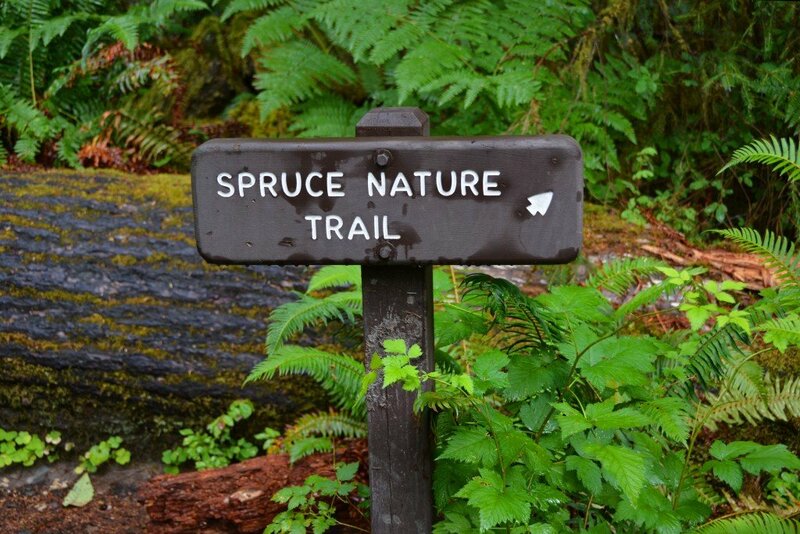 Spruce Nature Trail eventually meets up with and runs along part of the Hoh River, providing hikers with glorious open views of the flowing river and surrounding mountains. 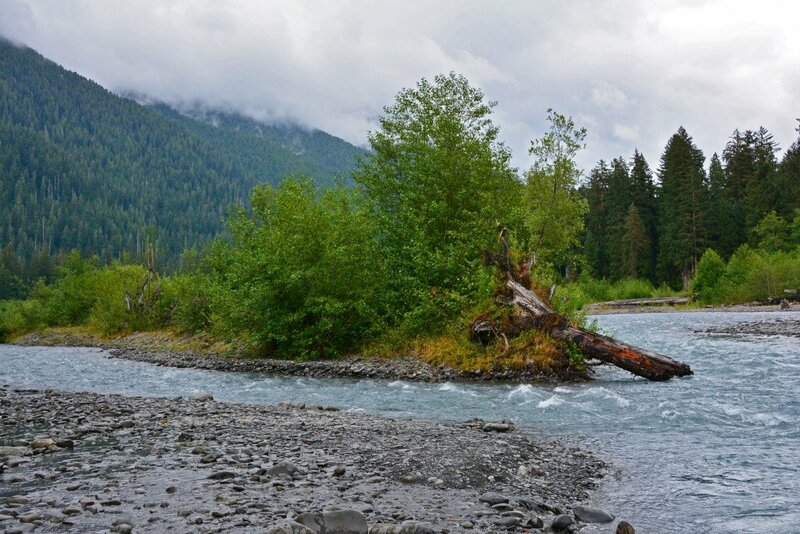 If you’re feeling adventurous, you can tackle the rain forest’s longest and most notable trails- Hoh River Trail, which leads 17.3 miles to Glacier Meadows, on the shoulder of Mount Olympus. 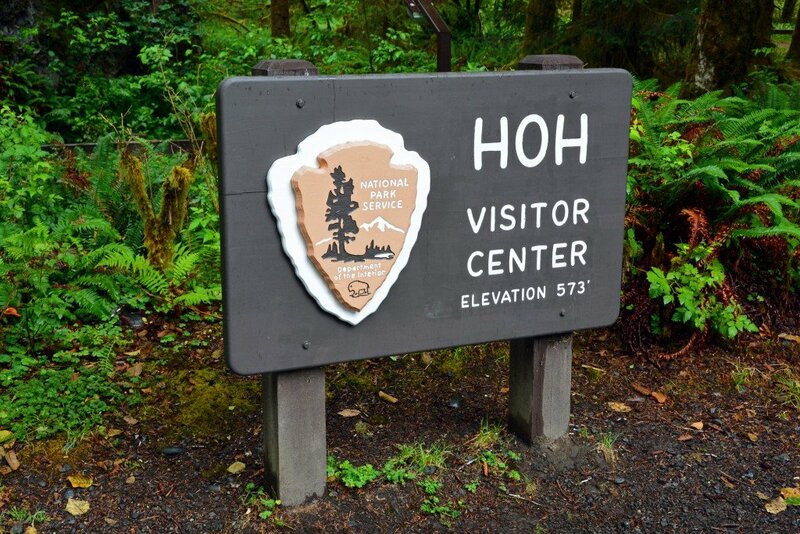 (Note: A back country camping permit is required for this hike and can be obtained at the Visitor Center.) 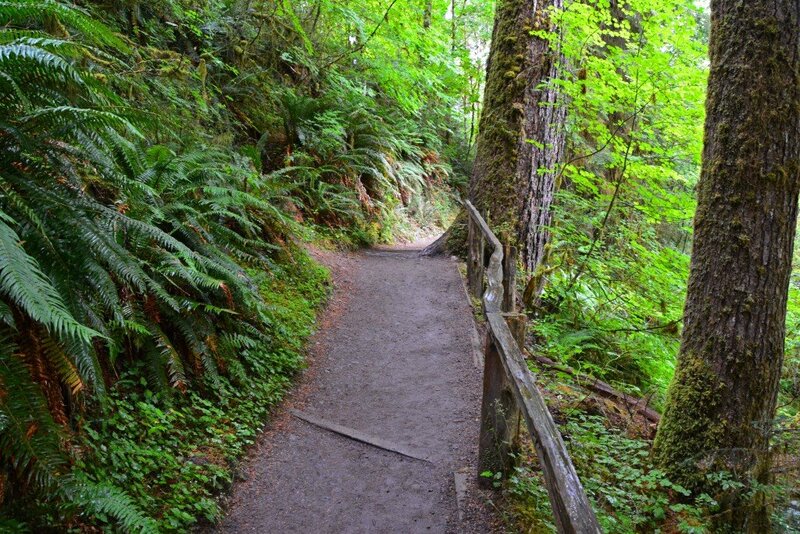 We just decided to stick with the easy hikes! 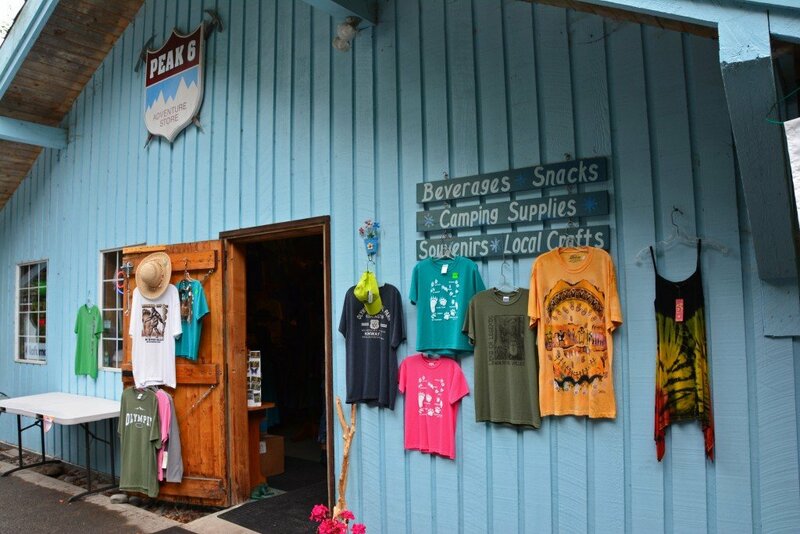 Following our 2 miles of hiking through the beautiful rain forest, we stopped off at Peak 6 Adventure Store, located on Upper Hoh Road, to pick up some memorabilia to commemorate our great day! 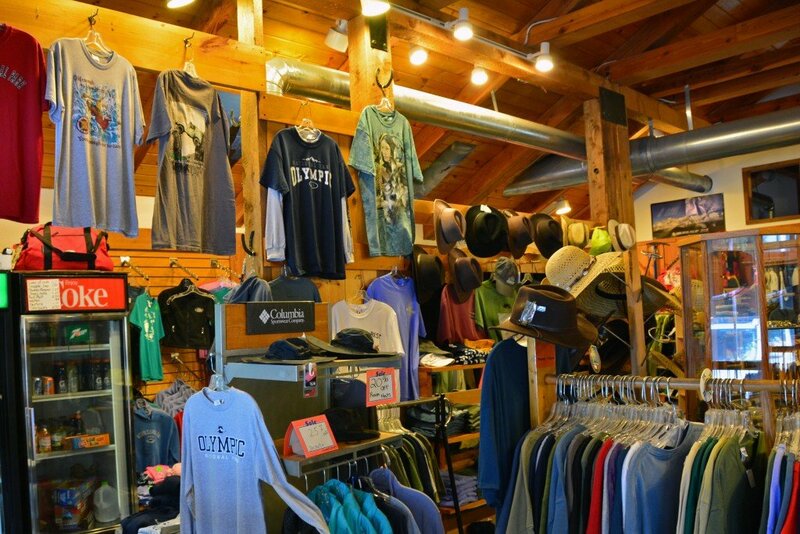 This store, seemingly in the middle of nowhere, has a great collection of outdoor clothing and gear, along with wildlife books, and local souvenirs. 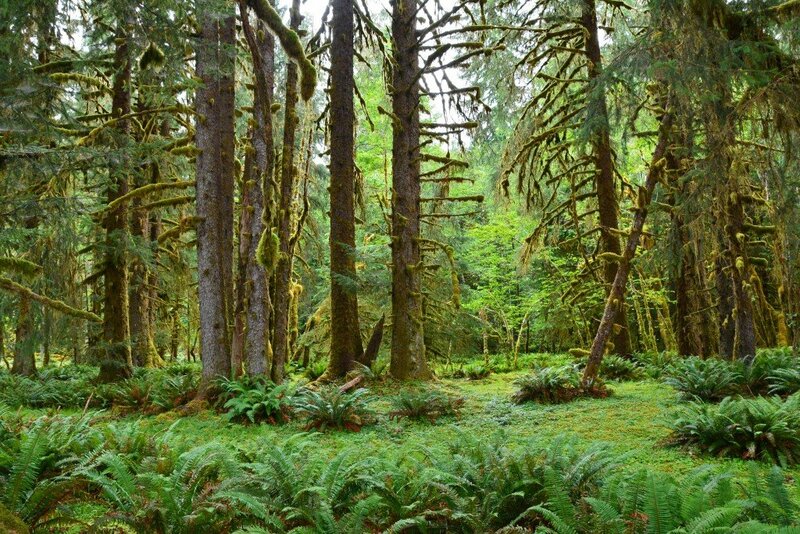 Although slightly off the beaten path, as Olympic National Park is located on a peninsula of the state of Washington, Hoh Rain Forest is unlike anything we had ever seen and totally worth a visit when you find yourself in the beautiful Pacific Northwest! Thanks! 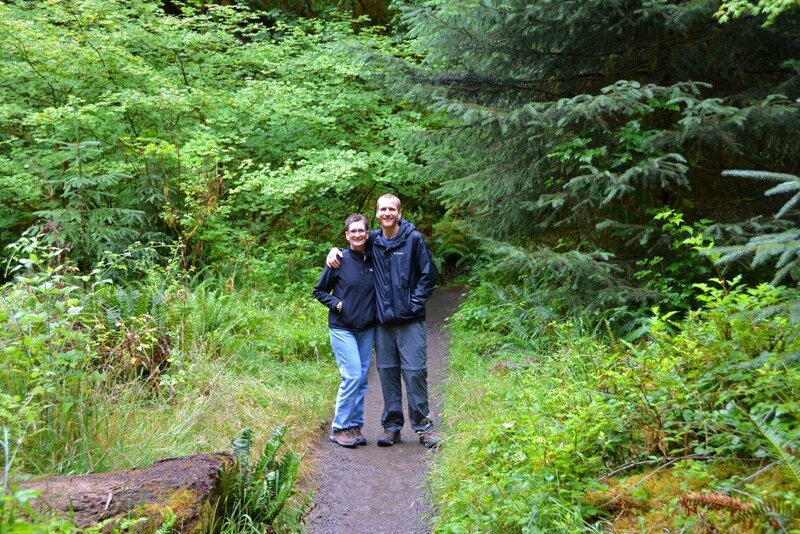 There was a light drizzle when we arrived, which really brought out the vibrant greens!